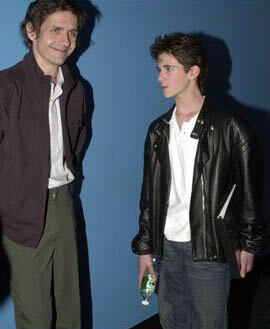 ON MARCH 30, 2004, A READING WAS HELD AT THE PARADISE THEATER IN GREENWICH VILLAGE OF A NEW SCREEN PLAY BY MATT ROSS AND GUY CIMBALO, "PLAYS WELL WITH OTHERS." PRODUCER ANNE CHAISSON (ROGER DODGER) HAD ACQUIRED THIS SCRIPT AFTER IT WAS PRESENTED AT THE SCREEN WRITER'S CONFERENCE, PART OF THE HAMPTON FILM FESTIVAL, IN 2002. IT CONCERNS A BRILLIANT BUT NAIVE 13-YEAR-OLD WHO TRIES TO MANIPULATE HIS PARENTS INTO DIVORCE SO HIS MOTHER CAN MARRY A MORE EXCITING MAN. 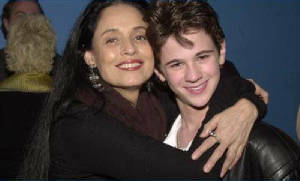 MS. CHAISSON HAD CONNOR PAOLO IN MIND FOR THE 13-YEAR-OLD, THE FIRST PERSON CAST. DEAN WAREHAM (PIGGIE) WAS SELECTED FOR THE OTHER MAIN ROLE. THE PRESENTATION WAS SUCCESSFUL AND THE THEATER SOLD OUT. CONNOR WITH OTHER CAST MEMBERS. CONNOR RECEIVED FAVORABLE NOTICES FOR HIS PORTRAYAL OF THE DUKE OF YORK, ONE OF THE TWO MURDERED PRINCES, IN SHAKESPEARE'S RICHARD III FOR THE NEW YORK PUBLIC THEATER IN OCTOBER, 2004. HE AND PETER VACK, WHO PLAYED THE OTHER PRINCE, ALSO DOUBLED AS COURT JESTERS.